North of Manzanita in Oswald West State Park, the Neahkahnie Mountain sits tucked on the Oregon Coast overlooking U.S. Route 101. 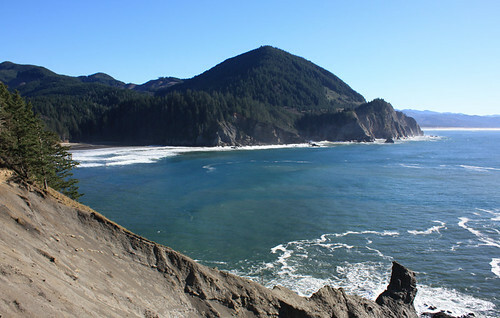 Part of the Northern Oregon Coast Range, the mountain is known to the Tillamook Tribe as “the place of the supreme deity” as they believe it is where their god once resided. Adding to the mountain’s allure, ancient Indian legend tells of a buried treasure on the site that has yet to be discovered. The treasure, the legend goes, is guarded by the ghost of a man who was killed and buried along with the treasure specifically to watch over it. 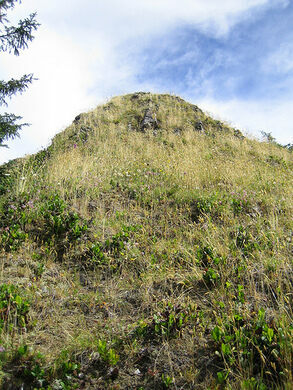 Hundreds have searched for the Tillamook Treasure over the years, using everything from their hands to giant earth-moving equipment, but areas of the mountain managed by parks department, are off limits. Rocks on display at the Tillamook County Museum appear to show cryptic symbols that could possibly serve as maps to the treasure’s location. The legend may have some truth to it. Spanish ships using the Manila galleon trade route usually made landfall along the Pacific Coast and could have visited the mountain in the 16th century. Typically, ships stopped along the California coastline, but Sir Francis Drake ventured further north starting in 1577. In those days, conquistadors were carrying boatloads of Aztec and Incan gold to Spain. The hiking trail that winds up the mountain is about three miles round trip, with a 900 foot elevation gain. If you're looking to hike the mountain, drive Highway 101 south of Seaside 20 miles (or north of Tillamook 28 miles) to a brown hiker-symbol sign opposite the Neah-Kah-Nie subdivision, between mileposts 41 and 42. Turn east on a gravel road and drive 0.4 miles to a wide spot with a small "Trailhead Parking" sign on the right.